You are here: NECAOnline.com » Licenses » Movies » Alien » Toy Fair Day 3: Heroes of the Storm, 1/4 Scale 1979 Alien, 25th Anniversary Dark Horse Predator Figures! After a third fun-packed day at Toy Fair, the curtain falls on our exhausted booth crew, which can only mean one thing… time for more announcements! 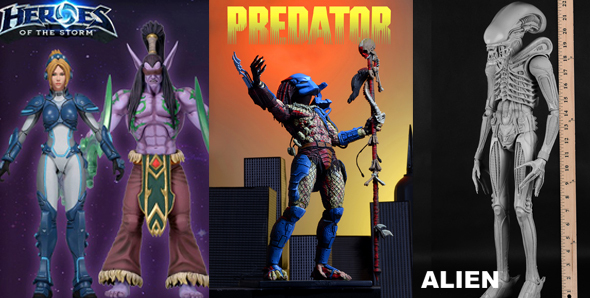 We’ve got the first figures from Blizzard’s Heroes of the Storm, a brand-new 1/4 Scale Alien, and a 25th Anniversary Dark Horse Comic Book Predator with a special BONUS item – a mini-comic reprint of the first Predator comic book ever! NECA is proud to present our first series of 7” scale action figures from Heroes of the Storm™, the upcoming online team brawler filled with favorite characters from Blizzard Entertainment’s vast video game universes! Created in collaboration with Blizzard, these fantastic figures feature game-authentic sculpts and nearly 30 points of articulation for great battle poses. Series 1 includes Illidan Stormrage (World of Warcraft™) and Nova Terra (StarCraft™). Illidan comes with Twin Blades of Azzinoth accessories, and Nova comes with rifle accessory and interchangeable left hand. 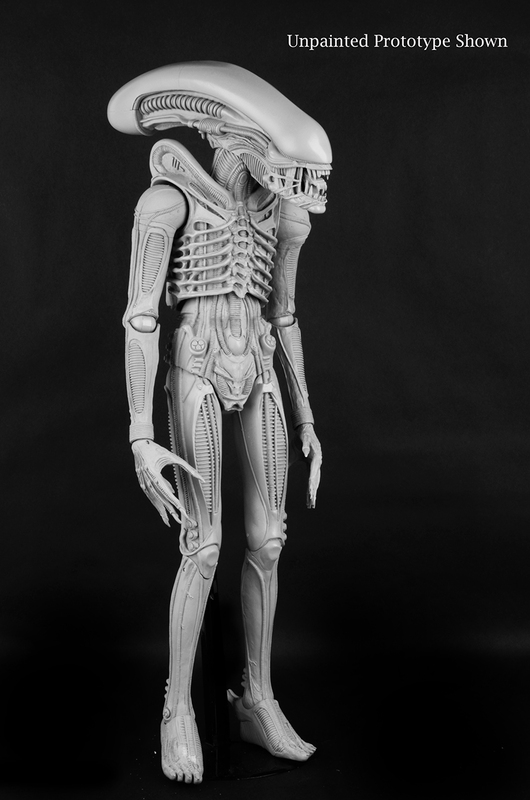 From the original 1979 movie that shocked audiences and jump-started a legendary film franchise, the Xenomorph known to fans as “Big Chap” gets the deluxe treatment! This incredible action figure stands over 22″ tall, and has a hinged jaw that opens, revealing an inner mouth that extends for realistic movie action. It has almost 30 points of articulation, including double knee joints and a bendable tail, and extra attention has been paid to all the eerie details that made H.R. Giger’s designs for Alien so mesmerizing. Celebrate the 25th anniversary of the first Predator comic book! The 8″ tall figure recreates the Predator’s appearance on the cover of issue #1, and has all-new deco in comic book colors and shading. Featuring plenty of articulation and a new ceremonial staff accessory. The deluxe window box packaging uses original comic book art and comes with a special bonus: a commemorative mini-comic reprint of Predator #1! There’s still one more day of Toy Fair to go, so come back soon!